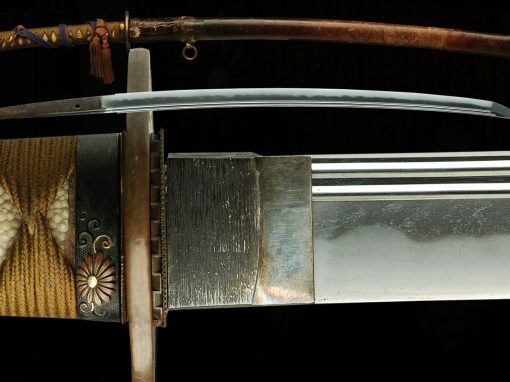 This is a WWII era sword made in the later part of the war. 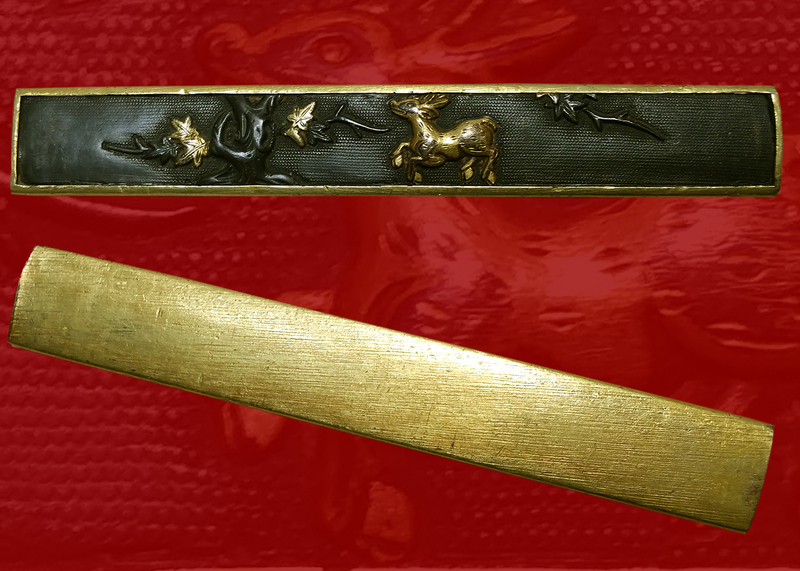 The sword is in fair condition and the mounts are standard NCO style mounts. 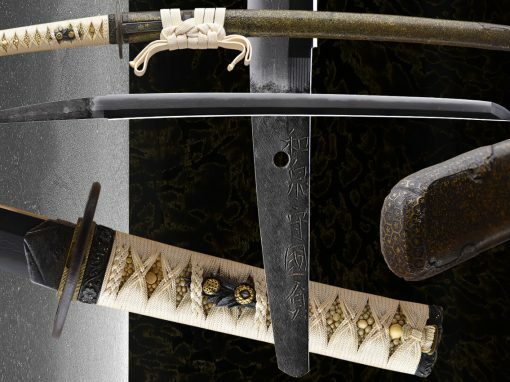 a good sword for the WWII era Japanese sword collector. 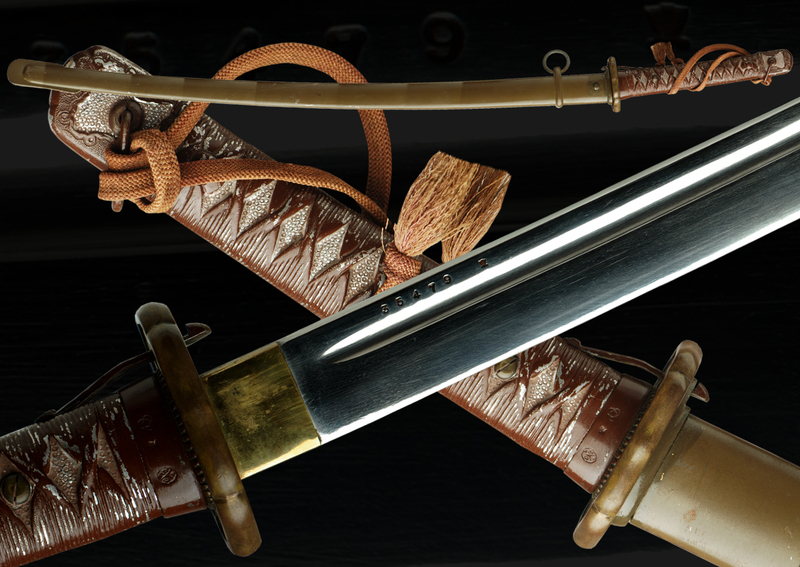 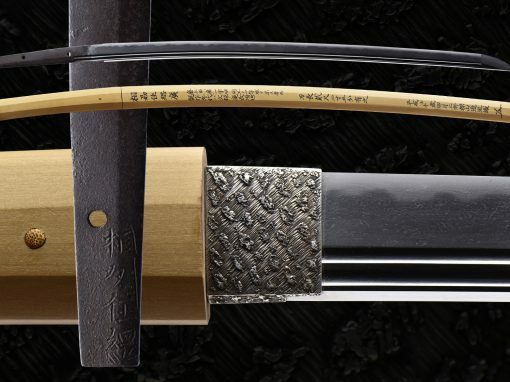 Shin-gunto, army officers swords, are the most common style of sword mountings from the World War II era. 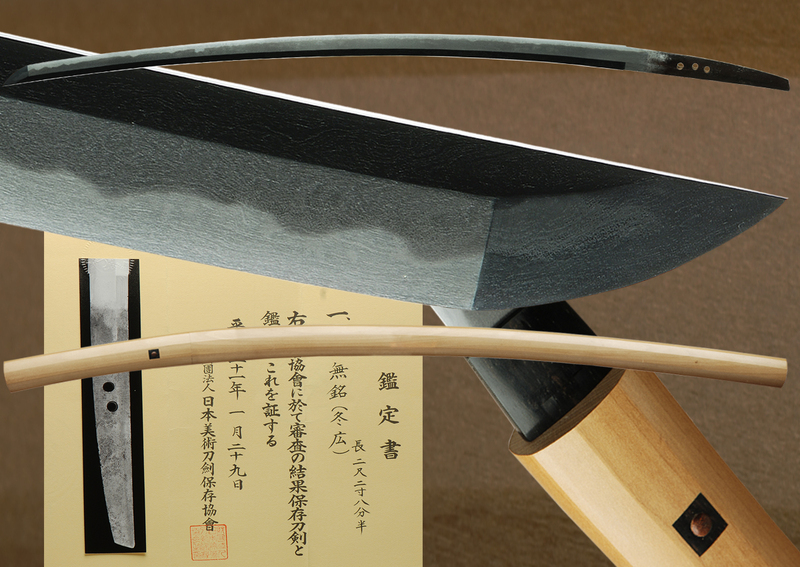 There is an enormous difference in quality of both blades and mounts of this period. 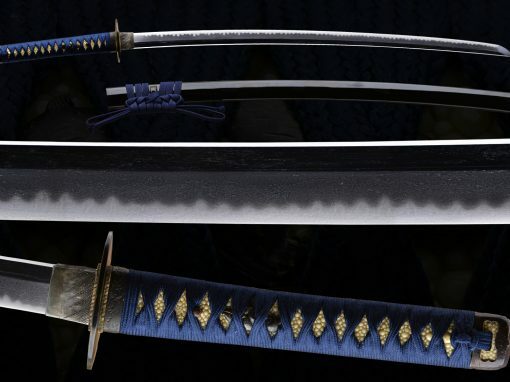 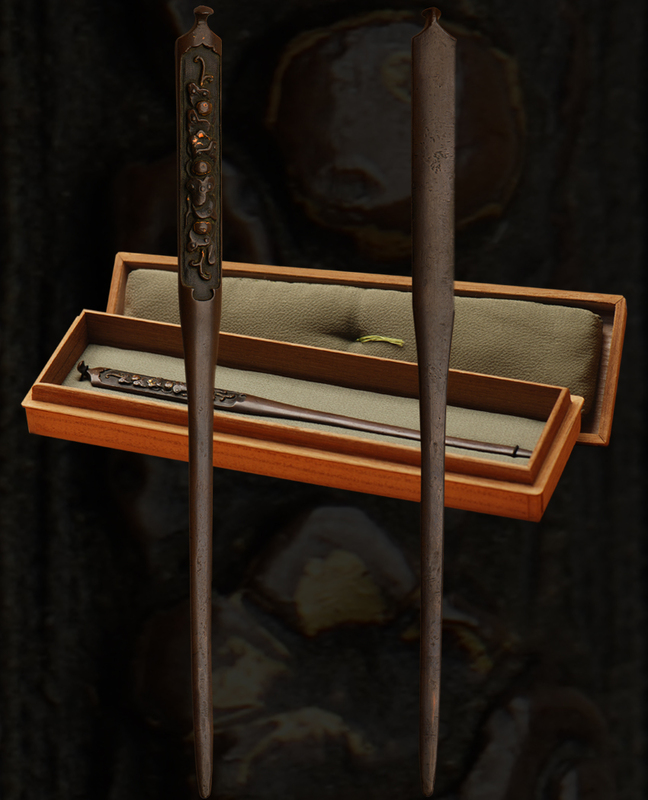 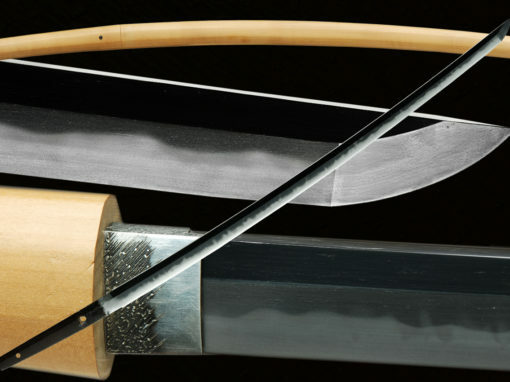 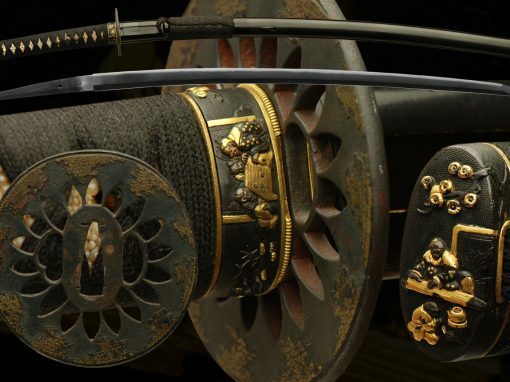 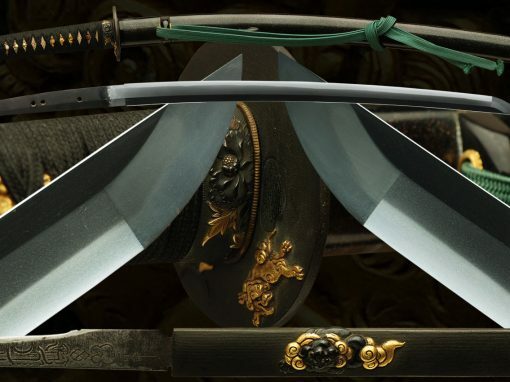 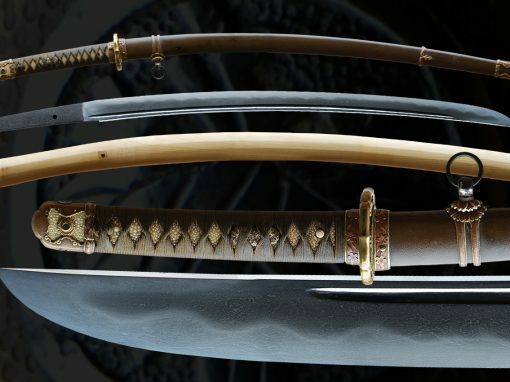 Many, perhaps most, of the blades found in shin-gunto mounts are not traditionally made swords. 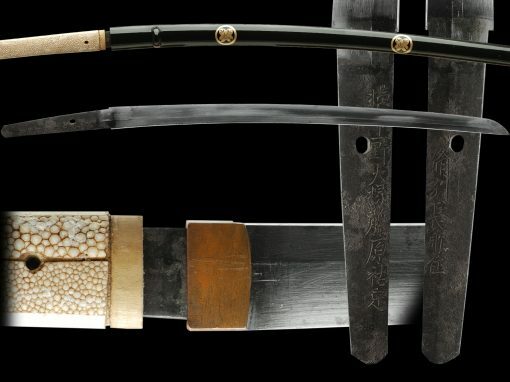 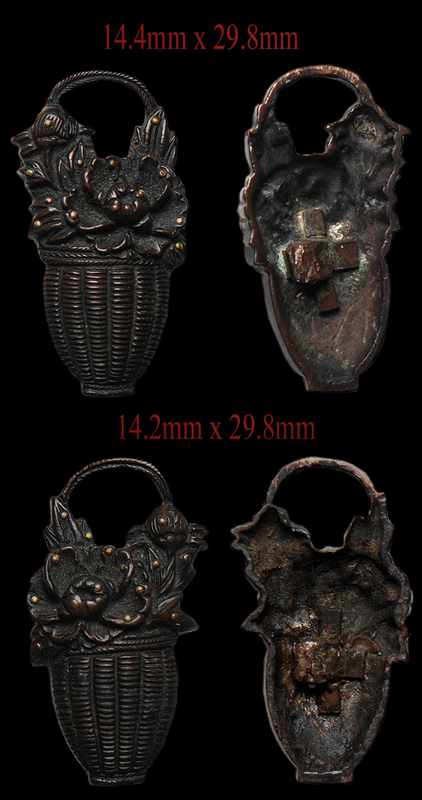 Many are machine made or old tempered and therefore are of interest only as military collectables. 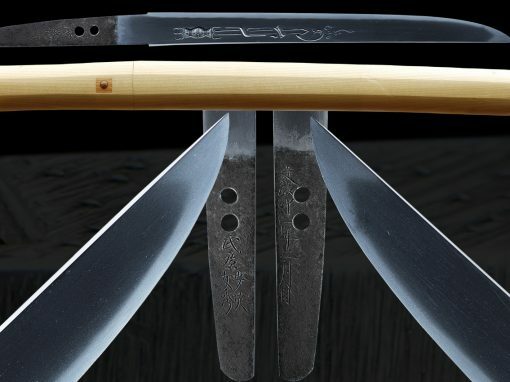 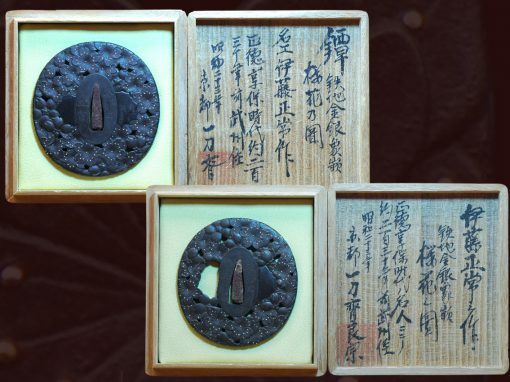 Some blades made during the war period were handmade but not by traditional methods. 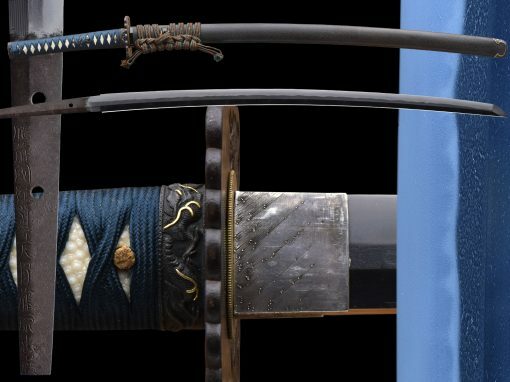 Prior to 1945, NCO shin-gunto, non-commissioned officers swords, have all metal tsukas (handles) made to resemble the traditionally cloth wrapped shin-gunto swords. 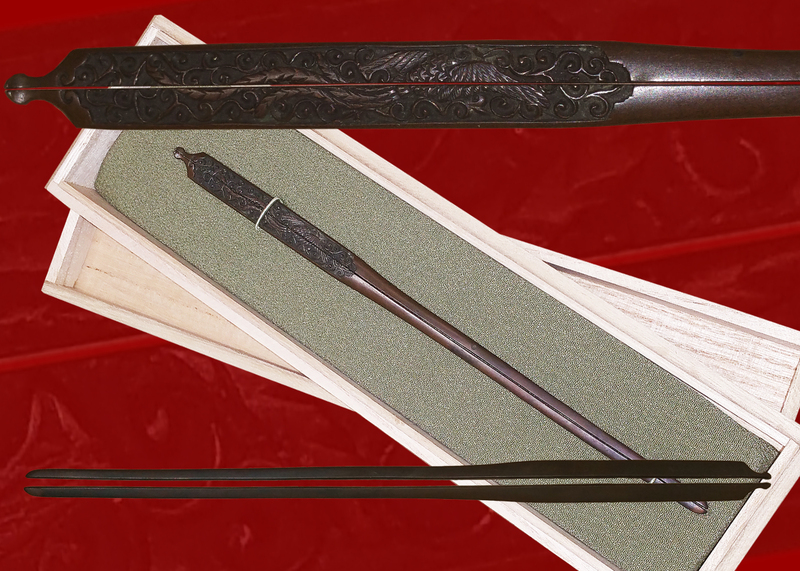 The first model had an unpainted copper hilt. 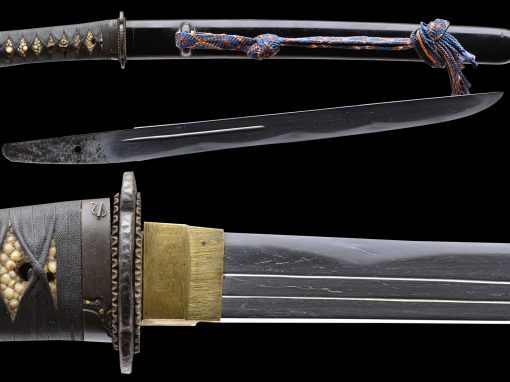 On later models the hilts were made of aluminum and painted to resemble the lacing (ito) on officer’s shin-gunto swords. 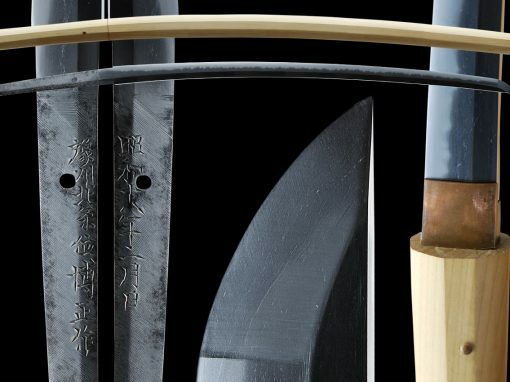 These swords will have serial numbers on their blades and are ALL machine made, without exception. 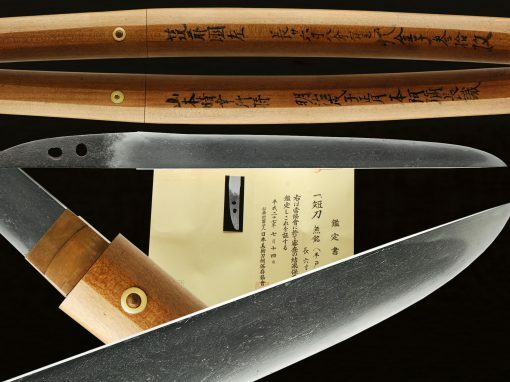 The serial numbers are simple assembly or manufacturing numbers; they are not serial numbers of blades as issued to specific soldiers. 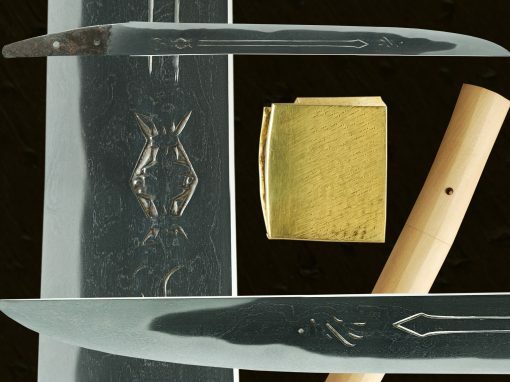 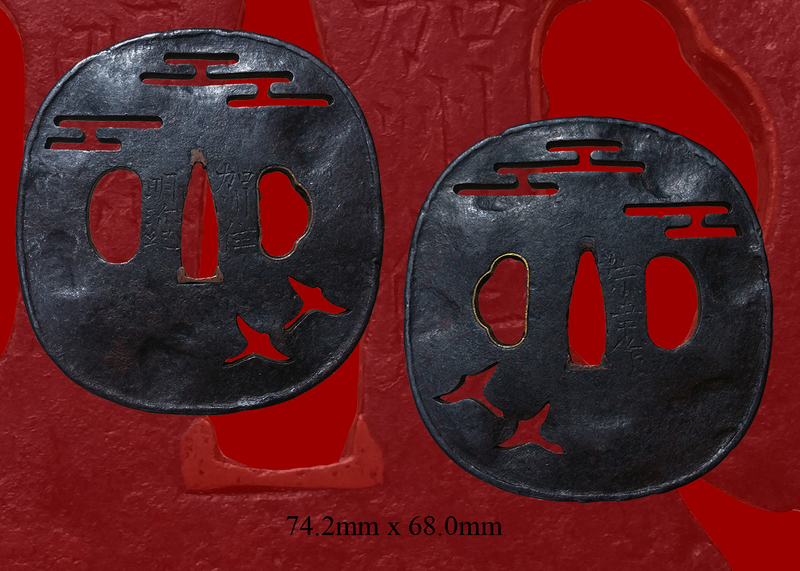 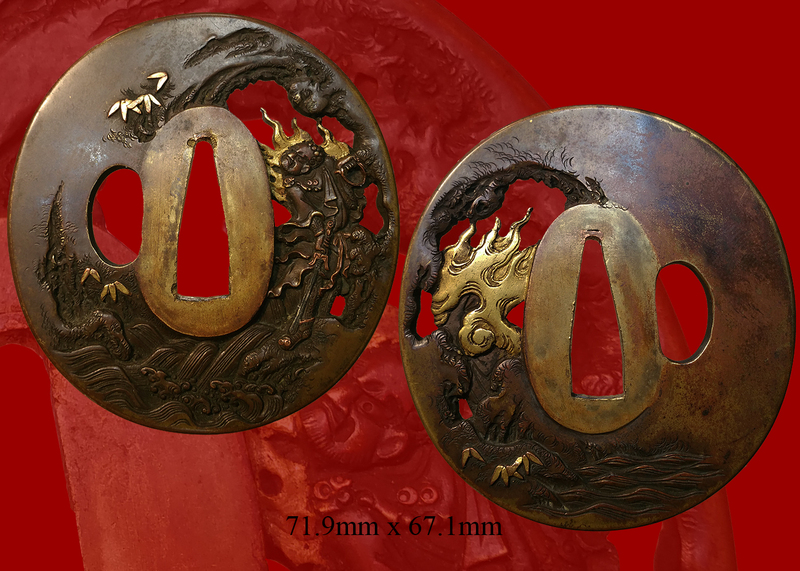 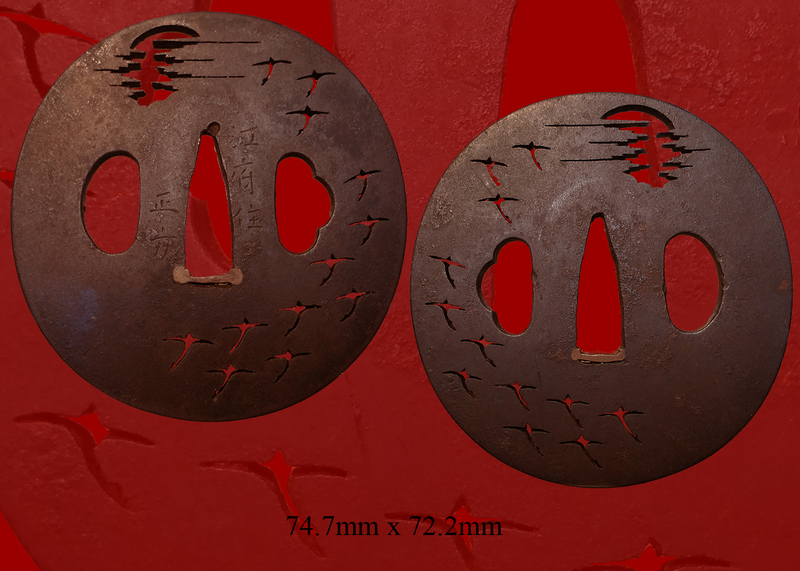 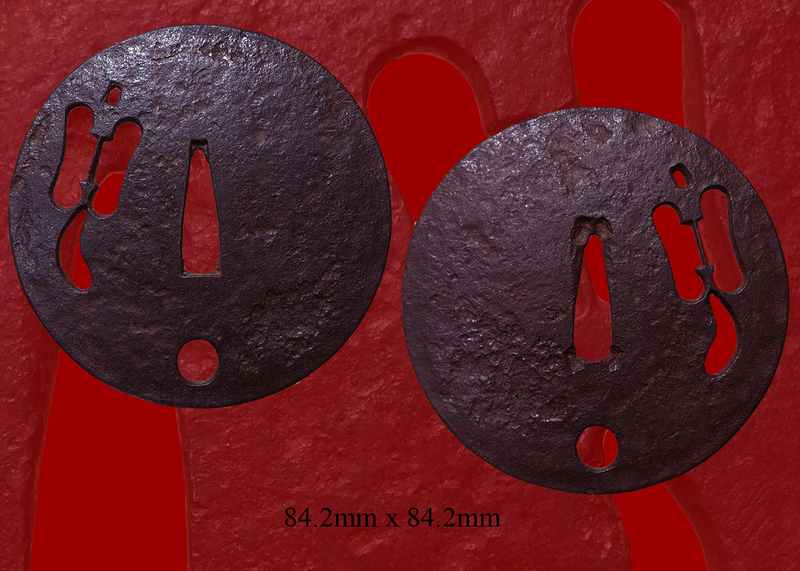 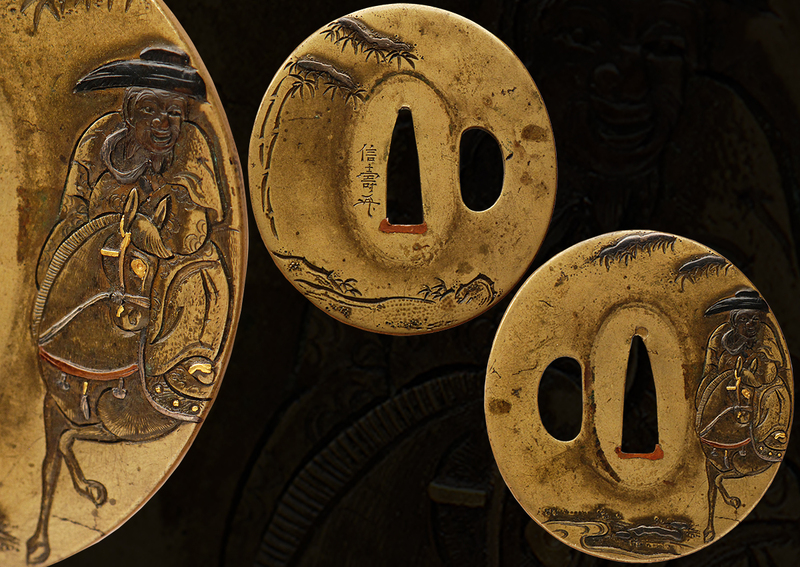 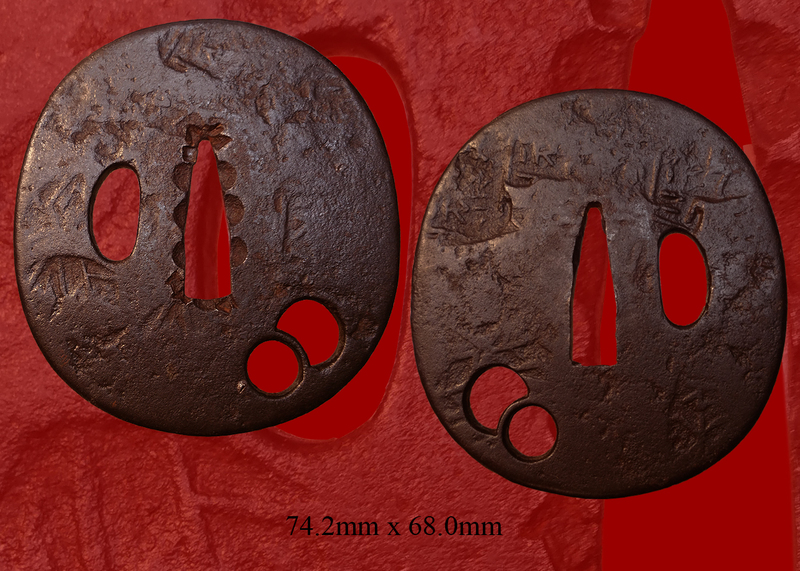 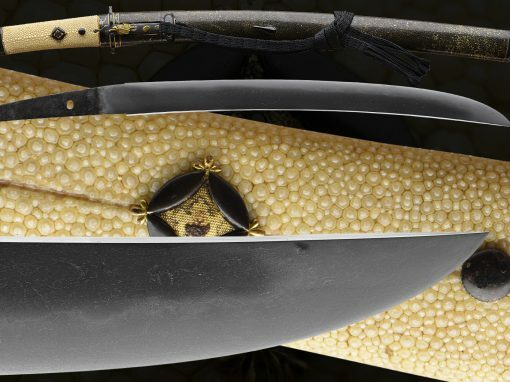 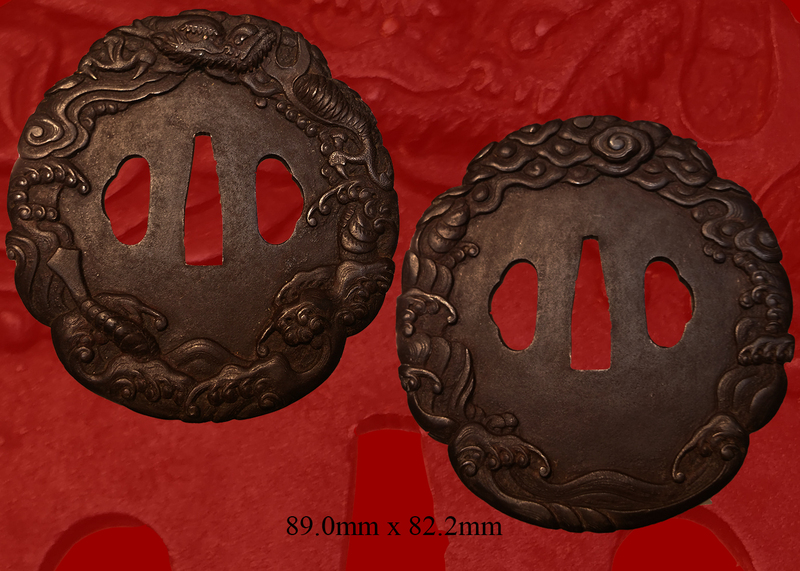 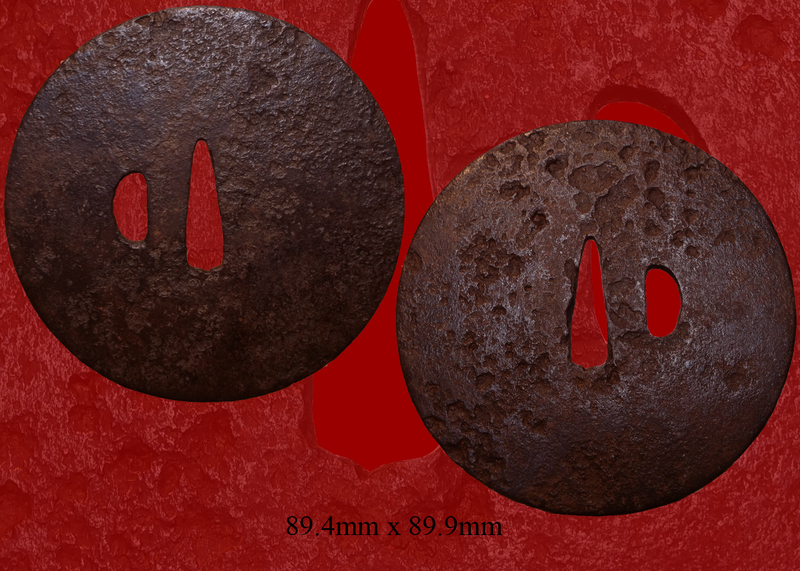 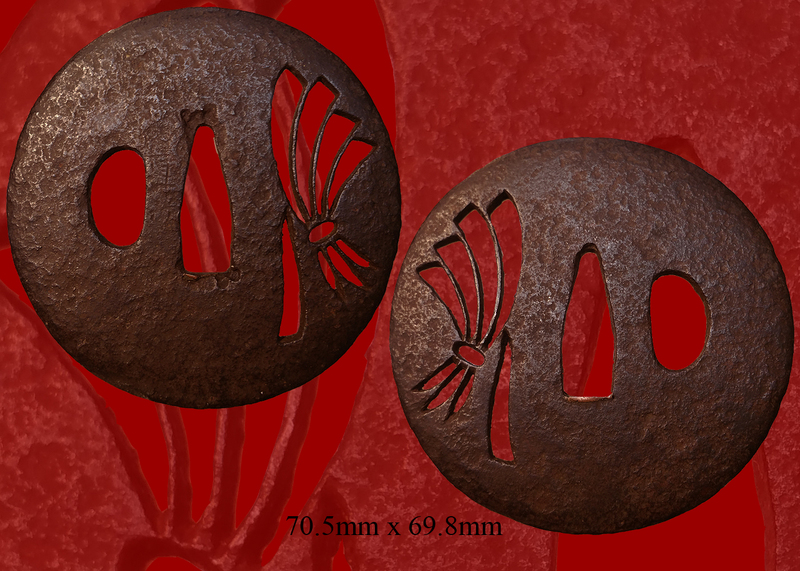 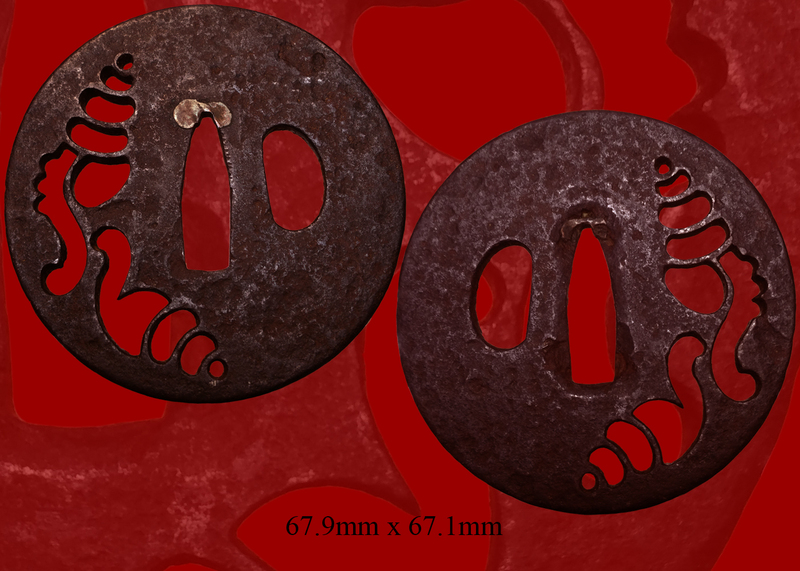 If the sword is all original, the serial numbers on the blade, tsuba, saya and all other parts should match. 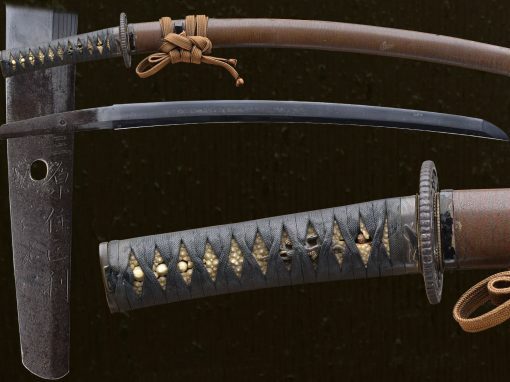 In 1945, the NCO sword was changed to a simple wooden hilt with incised cross-hatching (no same’ or ito) and plain, black painted iron mounts and a light brown to tan metal scabbard. 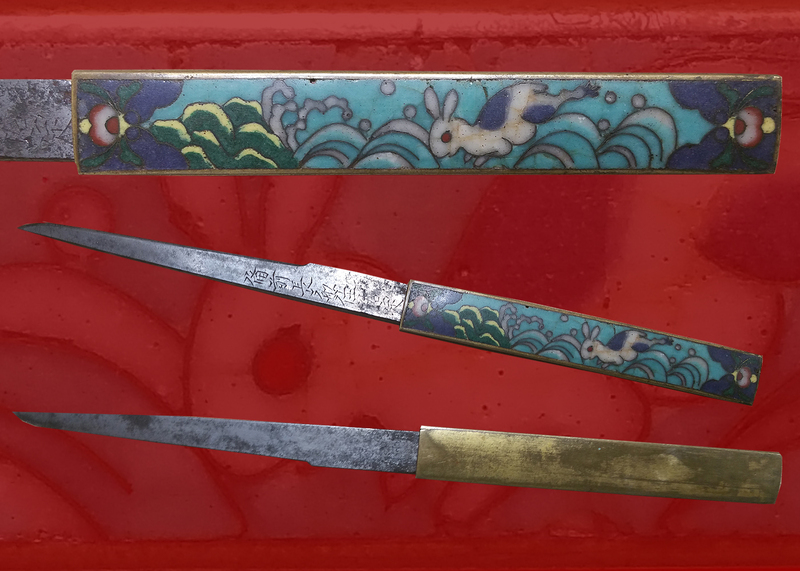 Blades in these mounts are ALL machine made. 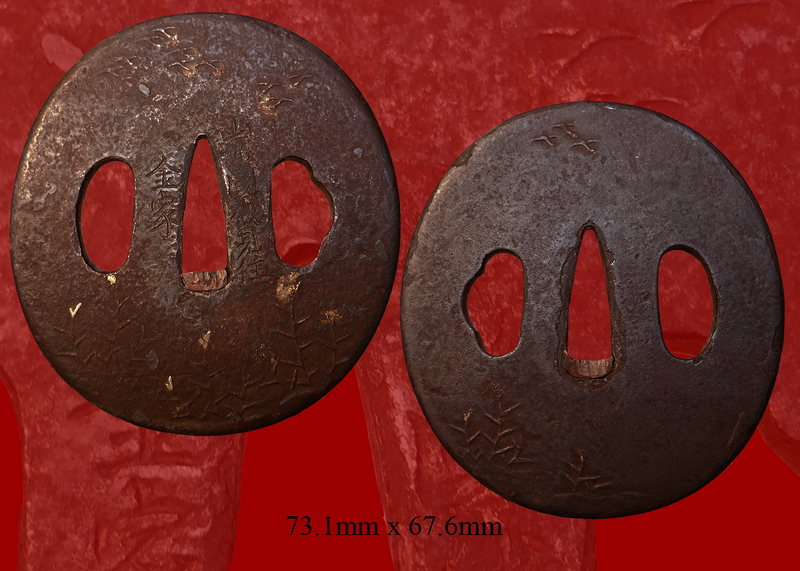 Email us if your interested in this item and remember to include the order number for this item: fss-740.